Mt. Namsan is a symbolic mountain located at the center of Seoul. Although not as high as other surrounding mountains, Mt. Namsan is a very popular nonetheless as a quiet site. At the top, there are various facilities such as Palgakjeong (octagonal hall), Seoul Tower, Maritime Aquarium, fountains, and Namsan Library. You may take a cable car to the top or walk up the stairway path. 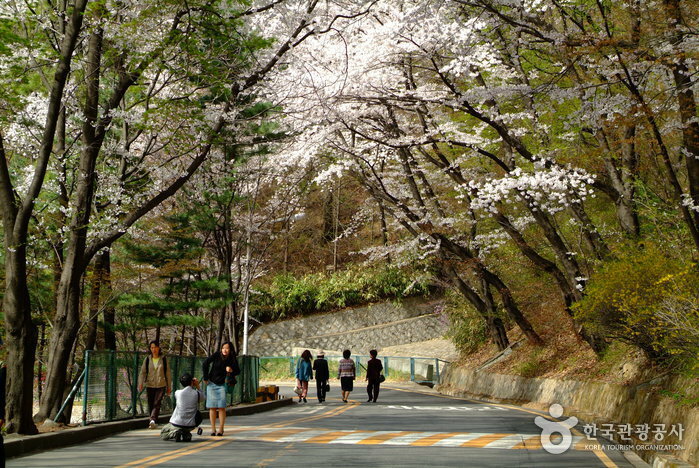 Other than this road, there are many other walkways to Namdaemun, Hoehyun-dong, Taegyero 3(sam)-ga, Jangchung Park, Itaewon, Huam-dong and much more. The driving courses here are also popular for couples. 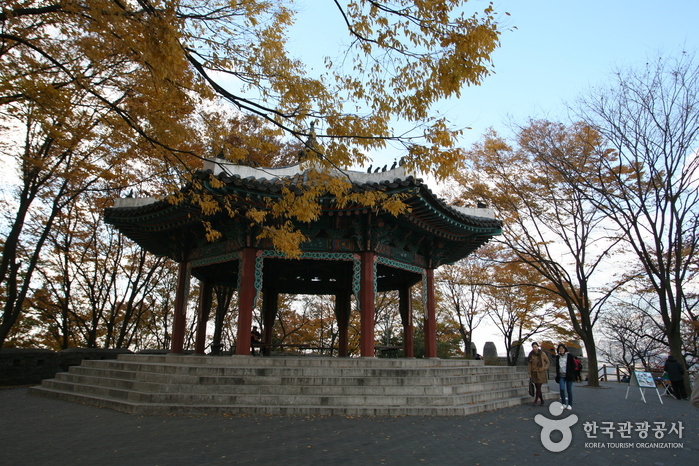 Namsan Park is a historical site. You will find Bonghwadae (beacon mound) at the top as it was once the center of capital defense. During the Joseon Dynasty (1392-1910) the capital was changed to Hanyang,(current Seoul) and to protect the city from invasions, castle walls were built on the four major mountains like Mt. Bukaksan, Mt. Inwangsan, Mt. Naksan, and Mt. Namsan. On Namsan peak, five beacons were built to report the news from local governments to the central government with a five-signal system. Also on the top of Mt. Namsan, there is the Palgakjeong Pavilion, which has a fantastic view. At Seoul Tower (479.7m), you can see the whole landscape of Seoul and the West Sea beyond Incheon. The rotating restaurant in the Seoul Tower also boasts excellent views. With fantastic night view, you should try having dinner at the tower. It would be a great experience to visit Namsangol Traditional Korean Village which is a village of 5 traditional Korean houses.